My 7 Year old is steadily working her way through the Harry Potter books, so this game has arrived at an opportune moment. Lego Harry Potter 5-7 years covers the last 3 books of the series and as my daughter is currently reading the 6th book she was able to explain some of the characters to me (I only ever read to book 4). We have a Star Wars Lego game for the Nintendo DS which is a firm favourite so my expectations for this game were high. My daughter played it alone and with a friend. They took it in turns to complete and solve different problems, helping each other out along the way. You can play the game with 2 controllers each player taking the part of a different character. This feature works really well and stimulates lots of discussion. It also makes me realise how much better children are at these things than me. It is a very long time since I spent any time playing video games. This weekend I had a cold and decided to sit for 3 hours and play Harrry Potter 5-7 Years snuggled up in my quilt. It was compelling and addictive and suitably challenging to keep me engaged. I could have used my daughters help at some points as I wandered aimlessly in the dark trying to find a tap. We discovered the following day that she had turned the brightness down and it wasn’t supposed to be a night-time game at all! I managed to complete the first level and played a little of the next level with my daughter the next day. I am suitably hooked. The animations that tell the story in between each level are compelling and new characters appear as the game unfolds. 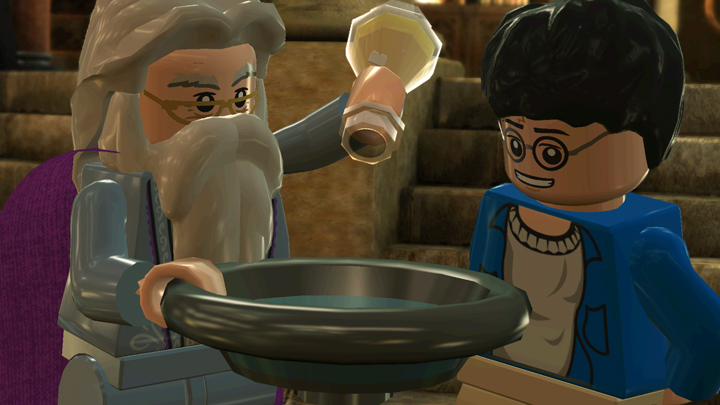 Each character has a special skill such as rebuilding blue Lego structures or using an invisibility cloak. What was my 7 year olds opinion? It is excellent because some characters can do some things which other characters can’t do and you can perform different spells just by pressing the spell-wheel button. 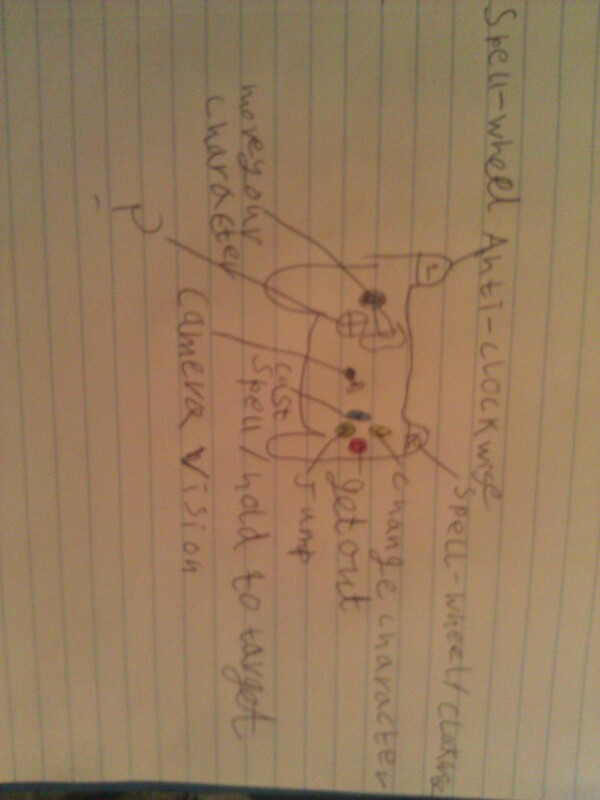 She has even drawn an image of how the controls work for the XBox 360 version. The game lived up to my high expectations, my daughter is coming home from school and asking if she can switch it on and I am looking forward to playing it with her and on my own. Good credit all round. This review is based on the XBox 360 game, it is also available on other consoles. A preview copy of the game was received for the purpose of the review. No payment was received for writing this review.